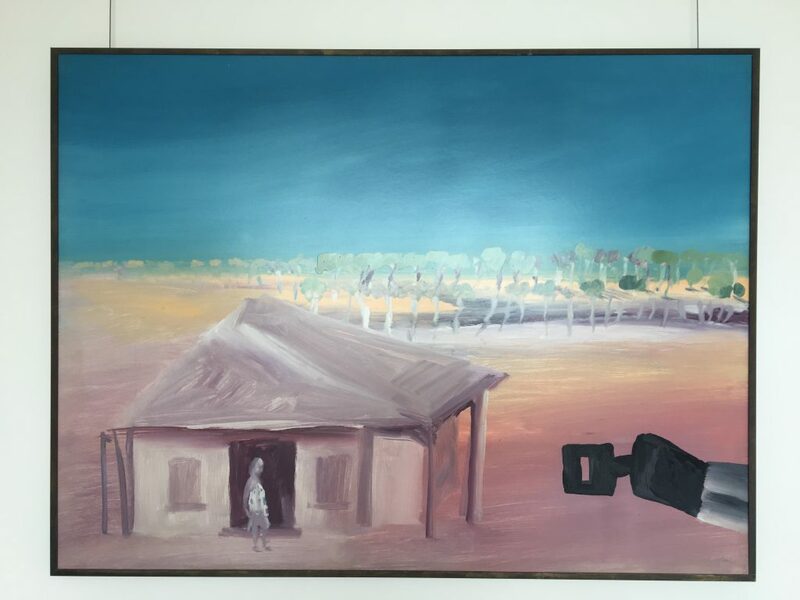 One of the feature works in our Invitational show is this 1982 painting by Sidney Nolan. Alongside the Nolan will be responses by Deborah Kelly, Jason Phu and Dennis Golding. Many thanks to art consultant Kate Smith for allowing us to exhibit this work. Pictured is Sidney Nolan, Landscape with Ned Kelly, 1982, Ripolin enamel on composition board.